THE sensation of this moment: Iberico Beef. 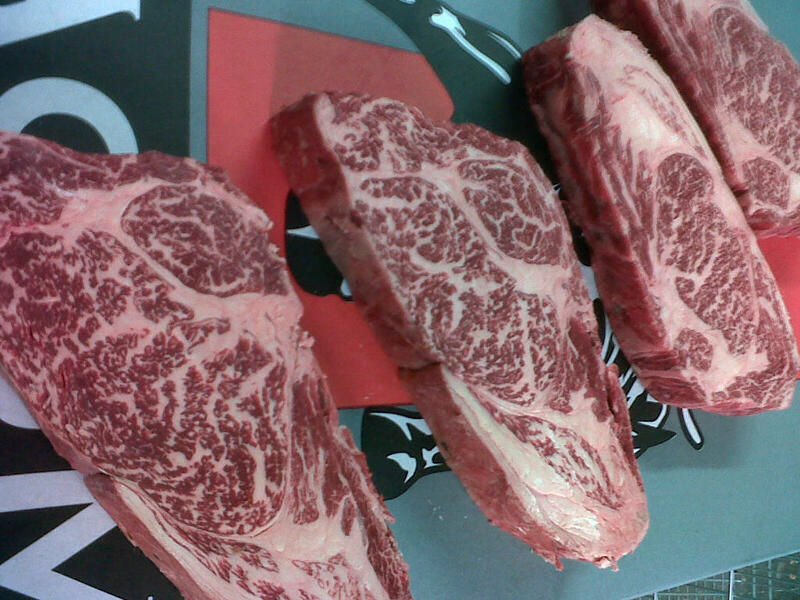 This beautifully marbled piece of beef derives its name from the first succesful test that was accomplished with the drying of fresh beef in a similar way as the drying of “Pata Negra”. After the process of salting and drying (24 months), the product is being smoked and cut into thin slices. The first Iberico Beef was a fact. The use of the same term for the Fresh segment quickly became the most logical choice for this unique Spanish product. By utilizing only the finest breeds of cattle and the application of different maturation methods (including Dry-Aging), this product ensures only The highest quality of meat on your plate.